We will be back in Summerfield again in 2019 at Summerfield Cyclery! We will have three route options of 25, 35 and 54-miles. All distances will roll-out together at 10:00AM and the post-ride party will begin at 12:00PM. 100% of your registration fee goes directly to Hospice and Palliative Care of Greensboro! Registration Fee: $35.00 prior to 4/29 (online registration will close at 11:59 PM on 4/28) & $45.00 there after (100% of the registration fee goes to Hospice and Palliative Care of Greensboro). Day-of registration will run from 8:00 AM to 10:00 AM at the ride site. Shirts are not guaranteed for anyone registering after 4/26/2019 and will only be available on a first come, first served basis. Age Minimum: Riders under the age of 16 must be accompanied by a parent or guardian. • Obey all traffic laws, stop signs, etc. 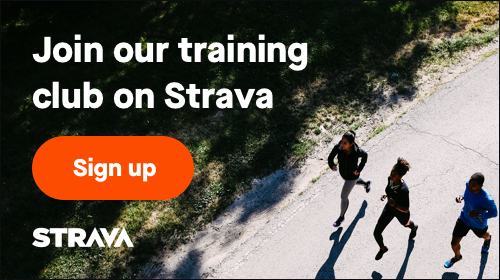 February 14, 2019, 12:31pm EST April 28, 2019, 11:59pm EDT $35.00 Race Fee + $3.00 SignUp Fee ? April 29, 2019, 12:00am EDT May 5, 2019, 10:45am EDT $45.00 Race Fee + $3.00 SignUp Fee ? Registration Fee for Tandems: $50.00 prior to 4/29 (online registration will close at 11:59 PM on 4/28) & $60.00 there after (100% of the registration fee goes to Hospice and Palliative Care of Greensboro). Shirts are not guaranteed for anyone registering after 4/26/2019 and will only be available on a first come, first served basis. Day-of registration will run from 8:00 AM to 10:00 AM at the ride site. April 13, 2019, 8:21am EDT April 28, 2019, 11:59pm EDT $50.00 Race Fee + $3.00 SignUp Fee ? April 29, 2019, 12:00am EDT May 5, 2019, 10:45am EDT $60.00 Race Fee + $3.60 SignUp Fee ? April 18, 2019, 8:14am EDT May 12, 2019, 11:59pm EDT $30.00 Race Fee + $2.50 SignUp Fee ?